Stepping off the screen of The Dark Knight Rises, Selina Kyle will bring a feline grace to your Batman collection! 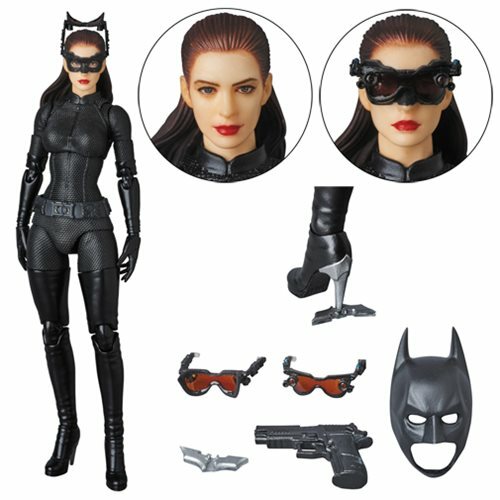 Based on her appearance in the blockbuster film, this MAEFX action figure includes 2x interchangeable head pieces, alternate wrist pieces, a batarang, gun, Batman mask, and bendable character stand. The Dark Knight Rises Selina Kyle 2nd Version MAEFX Action Figure stands about 6 1/4-inches tall and comes in a window display box. Ages 15 and up.